I’d love to see a post on how to decorate a dark, long boring hallway. What to do to keep it from looking like a hotel corridor? Love your website! Hi All. Most of my Dear Laurel letters are fictitious but this one is not. So, if you are interested in getting help for something and want free advice, you might take the approach that Kate did. I can’t promise that I’ll write a post about it, but it’s worth a try. Hotel Corridor made me laugh. Kate’s hall is more like this. It’s a nice start with the sea grass rug. I prefer runners over wall to wall and there should be at least a 3 inch margin of wood but probably not more than 6″ for a narrow hallway. We’re all not so fortunate to have exquisite, wide architecturally beautiful hallways such as this. One of Kate’s halls is 50 feet long. These are basement halls so maybe not as important as the main living areas, but no matter. I’m going to give you numerous ideas to help make even the most narrow, dark, long, boring hallway reach its max potential. The narrowest hallway is going to be only three feet wide. That’s the limit on acceptability from a code standard. Quite frankly, for a very long corridor, I think it’s really bad design. I really feel that most halls should be at least four feet wide and preferably five feet or more. However, let’s begin with the worst case scenario. A perfectly plain, no doors or windows, 50 foot long, 3-feet wide hallway. First of all… On the other side of this insanely cramped, spooky sliver of a pathway lies another room. Right? Can we borrow space from either of those rooms? Right. But if you can swing it, that would be my first consideration. However, let’s work with the suppurating, suffocating hallway. We need to take a lot of the same principles that we find in our gorgeous wide hallway and use them here, but judiciously, of course. Let’s begin with the architecture. You know me if you’ve been reading this blog for a while. I’m a nutjob about architectural features–because that is the key to creating a beautiful interior. We can add some sort of wainscoting, be it picture frame moulding, rail and stile or the very popular board and batten which is like rail and stile only plainer. Assuming that we don’t have a very high ceiling, I would not go up more than 36″ with wainscotting with a chair-rail. Otherwise, it might feel somewhat overwhelming. Here, we have a panel above the wainscoting which is very pretty and helps break up the wall nicely. We can also break up this long expanse and create more of what isn’t there. We could add one-inch pilasters (engaged columns) to help break up the expanse. We can add windows and/or doors, with or without mirrors, but mirrors will help expand the space a lot. Yes, interior windows. We had them in our old home and I loved them. You could even have it electrically rigged up to shine a dim light behind them so that they look more like real windows. I would probably use frosted glass, however. It depends on what’s on the other side. There also might be enough direct sunlight. We could add a soffit to create a sort of doorway. If the hall is only 3 feet wide, we can only afford to lose an inch or two on each side but that’s enough to create the effect of stopping the eye from moving down a long, never-ending expanse of sameness. We could also create shallow between the stud cabinetry to mimic a doorway like we were talking about recently with our unkitchens. How fabulous is this hidden storage. We could do this anywhere! We could even put in French Doors, again with frosted glass. Yes, it’s shallow storage, but again, perhaps space can be borrowed from adjacent rooms. However, even if it was a dummy door, it would lend itself to giving the architectural feature needed to make the hallway far less boring. Did you just say that I should put in a door that isn’t an entrance into anything but a stud wall? just presenting it as an option to get the ideas flowing. Perhaps, in some cases, there’s an option to make a real doorway from this side of the hall into the space that has no entrance. What if the hall butts up against the concrete foundation? Well, there are still studs and the opportunity to do everything we’ve discussed except borrowing space. Now that we have the architecture in better shape, our long boring hallway, might look more like this lovely hall below or one of the above spaces. Yes, those are real windows and doors, but we can create something along these lines. Here, they used beadboard or something like that. Next we will address the floor. I recommend some sort of rug runner to add visual interest. Or, the floor itself could be the visual interest. Having a beautiful floor will take the eye away from the cramped corridor. Love how these antique Oriental creates a smashing focal point. I think the way they handled the art is wonderful too. In a narrow hall, I wouldn’t make a complete gallery wall on both sides. It’s too much. A focal point at the end of the hall is a great idea to draw the eye towards the back. However, do not use vertical stripes for your runner! Vertical stripes will only accentuate the length. If you do stripes, they should be horizontal. Good Boy! Horizontal stripes on the floor. Yes! On the wall – NO! Not on a very long narrow hallway. Good thing there’s a bathroom at the end. Painting the door a deeper color drawers the eye to the back, not to the narrow sides. If space allows, books are wonderful in a hall. Do you agree? Love how they tucked in a little desk. Lighting can either be overhead or if not too narrow, sconces are always nice. I would not do sconces in a three-foot hallway because most sconces project at least 4-6 inches or more. Lanterns for a tall ceiling are perfect. So are Moravian Star lights. Well, I’ve always liked them. Can we paint the walls anything other than white or a pale color? Yes, absolutely but… with a very long narrow hall it requires a very deft hand. It’s one scenario where I would advocate for an accent wall. In so doing it pushes the darker wall over, giving the illusion of a wider hall. I love the addition here of the fresh looking photos framed in white. Dark halls require great lighting and either lots of white accents or colorful accents, unless you are going for something very contemporary and moody. This works because of the sophisticated styling of the home and very high ceilings. This is a Swedish Home and I think that painting the color all the way around is an effective technique. 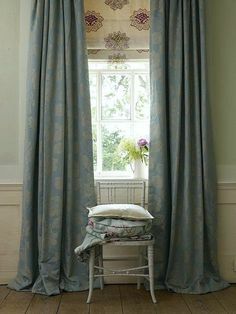 I think with dark colors it is imperative that there be many breaks in the color with art, doors, windows, moulding, etc. If the hall is wider and shorter, then it doesn’t matter as much. I think this works because the left side is mostly doors and the hallway looks to be about five feet wide. I hope that gave y’all some great ideas for decorating your halls–especially those problematic dark, plain long boring hallways. Did I leave anything out? Do you have some special tips for your difficult hallways? PS: Next Sunday I’ll be at the Design Bloggers Conference in Atlanta. However, I will have a post for you. 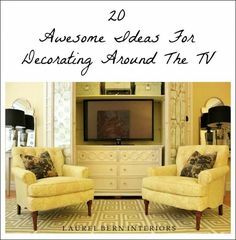 Hi Laurel, I’m a big fan of your blog. Love your design and your writing style. I find a lot of design blogs irritating with their writing style but yours is quite refreshing! Oops! Posted my comment before I was done. 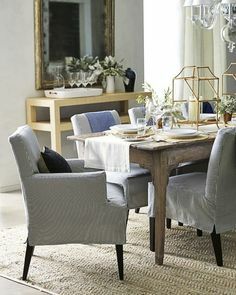 I wanted to add that those long planks of hardwood flooring we so adore, laid lenghtwise, affect me somewhat like that striped runner (not so severely, but still). Adding area carpets certainly breaks that up. Good idea. I also really like the herringbone style (Architizer). Hi Laurel: This was an enjoyable post. Hallways don’t often get discussed but are often a puzzling area to decorate because they aren’t a room, per se, and yet we spend a surprising amount of time in them, don’t we? Wow, what a great and timely post! The last month I am deciding, doubting, and re-deciding what to do with my hallway, which is not only narrow (about 3′) but also short (10′). There are 2 doors there, a window, and a staircase, which is another 3′ wide. Great post as ever! My favorite ones are with the bookcases of course.. It reminded me: when I was twelve, our family went to the seaside for a month. The sanatorium, as it was called back then, was at the top of the hill, and the beach, as you can imagine, was at the bottom. In the morning we went to the sea down the hill, full of energy, skipping along the way. When we had to return though, we were tired, the sun was high up and the day at its hottest, and the hill was quite steep and long. At the certain point you would have a feeling you are just not going to make it. It was so annoyingly funny you’d embrace yourself and continue to crawl. I hope for your sake it’s hypothetical but since it’s so specific, it may not be. Well, one great option is to move! No? I suppose one could gently inquire as to whether he would be willing to upgrade some things. It’s possible that he would be open to it but just hasn’t gotten around to it yet. Hi Laurel- haven’t been commenting lately, ( I wrote you at Christmas time) but I so enjoy everything you writeAND your design sense! Favorite comment here, “I’m a nutjob about architectural features.” That’s when I jumped in the pool with you! ( also love to dance!) My chief area of interest is interior architecture. Not so much decorating as designing in those features into a floorplan. You are on target with urging some of these folks to open up a wall into a space off the hall. ….one of the first images ( source unknown) of the closets with glass doors and a window focal point at the end is identical to a master bedroom/ closet set up I drew. Haven’t seen it built yet, so it was great to actually see an image of it! Thanks so much for all the effort you devote to these posts– they are wonderful! I’m a newcomer here and look forward to every email I receive from you! I learn something from each topic you write about even though it may not apply directly to me. Your knowledge and humor make every post an enjoyable read. Help–we have a narrow back stairwell that gets lots and lots of use (as in children brushing against the walls and stuff being carried up and down). The prior owners put in wallpaper whose durability is only surpassed by its ugliness but the 80s called up and are repossessing the wallpaper. 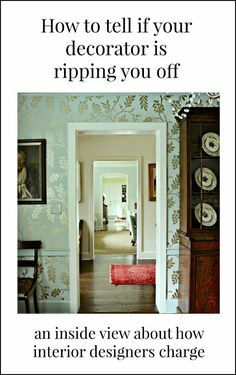 I would love wallpaper there for interest as one sees this from various angles and makes the small back door area more interesting…but it has to be durable. Virtually indestructible. No beautiful expensive paper will survive. But I still want it to be elegant and not plsticky. I love William Morris and chinoiserie and am not on board with the soon-to-be-dated-Kelly-Wearstler-bold-geometric-stuff. And one more thing. Dark stairwell so would like to avoid dark colours. Is there any hope for my stairwell? Bfish: sounds gorgeous. Would love to see a pic! This is another wonderful article Lauren – as are all of yours – thoughtful and humorous. Long hallways in NY railroad apartments are tiresome – you feel like you’re on a train or a barge. You have great insight here – I also like to use several runners if the hallway is long enough – to break up the length and also I find using an alternative ceiling colour can help – breaking that up with lighting if possible. Well you hit another one out of the park! Now I have to add “long hallway” to the wish list for our next place so I can play with it! It was fun and so instructive to see how halls can be transformed with your ideas and ingenuity. I love the idea of hidden storage but, since we have 1000s of books, I was delighted to see that you included one of my favorite halls of all time, Suzanne Dimma’s, with the handsome bookcases. Thank you so much! Don’t know where I find this stuff. I just know that when I’ve found the right image, it jumps out at me. Love that the bathroom is all lit up and ready to be useful. Hi Laurel — This was another great post from you! We had the opposite hallway problem from what you’re dealing with here — at least we used to think it was a problem. Our home was built in the late 1920s and the design goes back at least a decade earlier. In a house that was built to be barely 2000 sq ft there is an entry hall and an upstairs hall each measuring about 8′ x 15′. On top of that our stairwell is very wide, has a big landing midway, and another landing hall at the top. We thought having so much space in a relatively small house was functionally obsolescent — yet we’ve come to really appreciate this feature! “Normal” newer house narrow halls and stairways make me feel claustrophobic now. The entry hall has 6 doorways leading from it and the upstairs hall 7. What we’ve done is treat our entry like another room in the house. My husband built-in a shallow floor to ceiling bookcase with several “step-backs” and a lot of trim detail. It’s filled with books and some of my favorite objects and fronted by a long narrow bench. We also have a desk and bar cabinet in there (fit between various doorways). It sounds crowded but isn’t. Since I love color and high contrast I decided to let this first step into my home reflect that. Trim (with added simple crown) is white, walls are saffron yellow-orange, ceiling is pale aqua blue (a continuation of the color from beadboard ceiling on our large front porch). Desk and cabinet are dark wood, there’s a variety of artwork, and décor is predominately navy/red/yellow. Persian runner is navy and red. Lighting includes lamp on desk, two can lights, and a ceiling fixture with amber bulbs for when I need mood lighting. Your landing sounds lovely. Is there anywhere you can post pircures? I would love the inspiration!